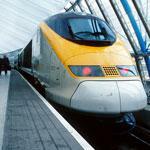 France in London | The new Eurostar trains: work in progress ? Eurostar have proudly advertised their new trains. They have “worked closely with the designers to perfect every last detail”. Seats are now thinner, sockets have been added to every seat, as well as cup holders (absolutely necessary to enjoy a froffy cappuccino under the Channel). Another big change is said to be free and unlimited wi-fi connection. Eurostar claim on their website that “by combining both the 3G and 4G mobile data signals wherever they can along the route, we’ll keep you connected as they speed across borders and timezones”. Passengers can then use the connectivity to work or enjoy a film or an episode from one of their favourite series during their journey. Games are also available, as well as a special channel for children so they do not get bored during the trip. Eurostar is very pleased with these new high-tech services, but travellers are not so convinced. Passengers comments would suggest that the Franco-British company has not got it quite right...yet. The main issue is the disappointing wi-fi service. “I have never been able to get online” Sarah said. Justine, who frequently uses the Eurostar between London and Paris, claimed that “the speed was good... when there was a connection…” Sylvie is also not sure about the wi-fi signal as she had to give up trying to watch what she had intended because she was "not able to connect to the internet." Others think that the film selection is limited, with only a dozen comedies and dramas. “Films and documentaries were only available in English, without any subtitles… Aren’t we travelling on a Franco-British train?” an angry passenger stated. “Eurostar need to get their act together," she continued. Eurostar clearly had some good intentions behind the design of their new trains, but the preliminary view seems to be that translating these into practice has not quite worked out… Quel dommage ! I travel every 2 weeks to Paris from London and back and the WiFi has NEVER worked. Poor service! The seats in standard class are shockingly uncomfortable, so hard and unforgiving that I may never travel on Eurostar again. I have not tried the premier class seats in the new trains yet. 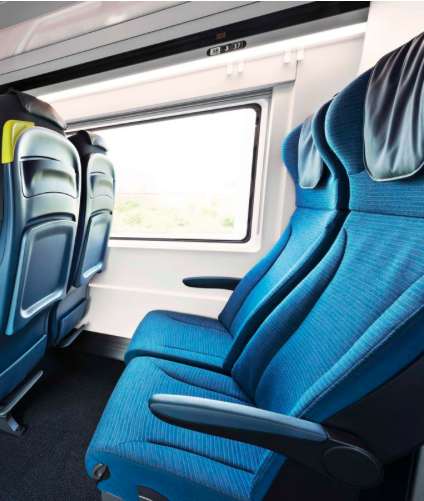 But, having travelled more than a dozen times on Eurostar, to both Paris and also on the lengthy yet direct journey to Moutiers to go skiing, it was difficult to believe they have got the seats on the London to Paris trains so badly wrong. the comfort and elegance of the train has gone down! When will companies stop pulling a blanket over our eyes?